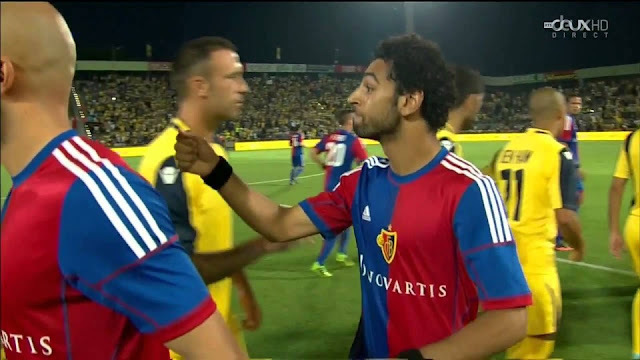 Home » England , Ireland , Mohamed Salah , West Brom » James McClean, How Far is Too Far? 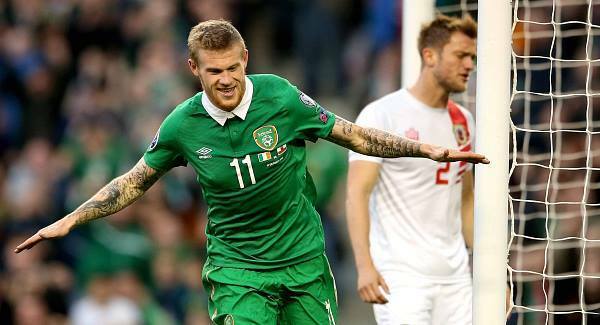 Newly acquired West Bromwich Albion winger James McClean is not new to controversy. The Irishman who had spent the last four years playing in England with Sunderland, Wigan Athletic and now WBA was first in the spotlight when he refused to wear the poppy on his shirt leading up to Remembrance Sunday and now has landed himself in the middle of more negative attention when he turned his back on the English flag during the playing of the country's national anthem during a pre-season match in the US. Twitter as you can imagine, exploded both with negative comments and with those who were sympathetic to McClean's decision. But while all controversial topics have backers on both sides of the argument, when it comes to "the world's game" I ask how far is too far? After all, this is the one sport that is played in every single nation in the world, should this not be the event where differences are forgotten? Some animosity still exists when the Republic of Ireland takes on England in any sporting event, but even more so in football. But perhaps it takes just a quick glance at the rivalries between Serbia and Croatia or Albania to realize that the Irish and Brits have come a long way at least in the world of football, a world where sharing the pitch has been very common between the two sides and with few incidents. When I first heard of McClean's refusal to sport the poppy on his team's shirt I did not jump on the "kick him out of the league" wagon which had already picked up quite a few "passengers". The explanation from James was simple and belief driven; it was fairly easy to understand and accept, especially for someone like myself who is from a different country and doesn't feel compelled to take sides. This new saga in the big ball of controversy that is McClean is (at least in my mind) a bit different. Being an immigrant to the country (Canada) that I now call home I always take issue with other immigrants who are constantly trashing the laws, lifestyle and other aspects of this beautiful nation, and there are a lot of people like this here. My thought on this issue is always the same...don't like it, go back! After all, there must be a benefit to you being here, and if there isn't, then surely you shouldn't stay in a country you hate. 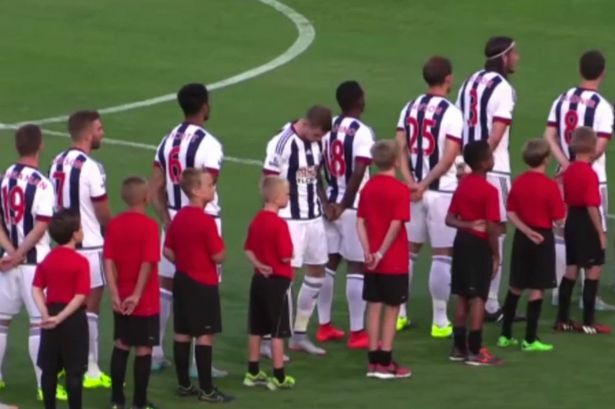 In McClean's case, if his beliefs of England being such a nemesis to his roots and upbringing, why would he set foot in the country he dislikes so much as to turn his back on their flag and national anthem? The answer of course is quite simple; his salary with all three English clubs he represented trumps that which he was receiving in Ireland with Derry City FC. But if you are going to put your "strong beliefs" aside for a paycheck, surely you must respect your employer and the country that puts bread on your table. Professional athletes can sometimes showcase extreme examples of opportunistic nature, such as Egyptian star Mohamed Salah who had refused to shake hands of Jewish players from Israeli side Maccabi Tel-Aviv in 2013, yet despite his beliefs had no issue with travelling to Israel for a match or signing for London club Chelsea FC which are owned by Russian-Jew billionaire Roman Abramovich. McClean's actions seem to be very similar to those of Salah; A footballer who can put aside his ideology to promote himself in arguably the best football league in the world, but create just enough controversy with scattered actions driven by an off the pitch "agenda" and beliefs; very likely just a young men's craving for attention, but in both cases disrespectful actions towards their employers.